Don’t Miss EmployUp this Thursday! EmployUP takes place this Thursday! More than 50 companies are attending, recruiting students for full-time jobs! EmployUP takes place Thursday, March 3 from 10:30 a.m. to 3 p.m. at the Grady Cole Center, adjacent to the CPCC Central Campus. Please see the parking map for location and parking information. CPCC students and all veterans can show their student and/or military ID to use the VIP entrance and avoid long lines! Professional dress is required for admission. Check out the EmployUP Tips video for examples of professional dress. Bring copies of your polished resume. You’ll be giving them to company recruiters. Follow resume guidelines provided in the Career Guide. Review your resume for typos. Review the EmployUP Student Information Page that contains tons of tips and links to help you make this event successful for you. EmployUP is going to be a great event! People are going to be called for job interviews and potentially receive job offers because of this career fair. Why shouldn’t it be you? 2014 CPCC Career Fair is Next Week! 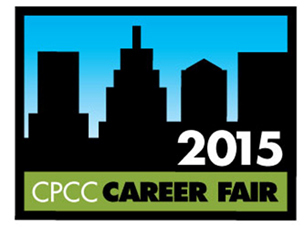 The CPCC Career Fair is just one week away! More than 95 employers are coming to the Grady Cole Center next Thursday, March 6 from 10 a.m .to 2:30 p.m. to discuss full-time and part-time job openings. This event is open to all CPCC students and alumni. CPCC Career Services wants you to succeed at next week’s event. Here four items to cross off your “to-do” list in preparation for the career fair. Develop a professional resume. Employers are expecting you to submit resumes at the fair. Will your resume pass the test and help you get a call for an interview? Check out the Career Services online Career Guide for resume tips and samples. Schedule an appointment with a career counselor to have your resume reviewed. Central campus offers Drop In hours Monday through Friday from 11 a.m. to 1 p.m. No appointment necessary to receive feedback on your resume. Get your professional wardrobe ready. Professional dress is required for admittance to the job fair. Don’t wait until the night before to decide what you’ll be wearing. Check your closet to make sure you have proper clothes and accessories. Make sure your outfit is pressed and shoes are shined. Research the companies attending. While over 95 companies are attending, you won’t want to talk to all of them. See which companies are looking for people with your education, skills and experience. Learn about the companies by visiting their website, Facebook or LinkedIn pages. Rehearse your elevator speech. An elevator speech is the opening remarks you give to a recruiter when you approach your table. It needs to be short (less than one minute), professional (references professional not personal interests) and sharp (paired with a solid handshake, smile and eye contact). Write out your elevator speech and practice in front of a mirror, friends or family. The CPCC Career Fair is one of Charlotte’s largest job fairs. Don’t pass up this opportunity to meet face-to-face with employers and discuss job openings.